Occasionally a band will spend years in relative obscurity and then, finally, suddenly break through with one big hit before settling back into the same obscurity from whence that band had come. One such band, at least as far as the American music-buying public was concerned, was Everything But The Girl. Everything But The Girl (or EBTG, as the group’s website commonly calls it) was, for many years, part of a subgenre of pop music, developed in the 80s, called “Sophisti-Pop”. (Or so says Allmusic, at least.) This subgenre included Swing Out Sister, Sade, Simply Red, and Basia, all of whom managed to place more than one hit on the charts themselves. 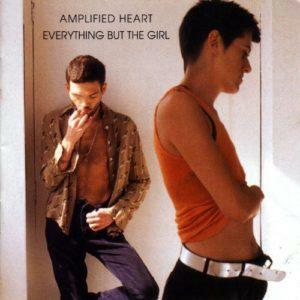 As for EBTG itself, the group was formed by Tracey Thorn and Ben Watt, who were a couple personally as well as professionally, in 1982. They managed to place several songs on the charts in their native UK, but they had had very little success in the USA, apart from one album, 1990’s The Language of Life, which did manage to make it to the top of Billboard’s Top Pop Albums chart. By the mid-90s, though, EBTG had begun to branch into electronica, as evidenced by their 1994 album, Amplified Heart, which featured several tracks on which they worked with electronic music producer John Coxon; the resulting album was an interesting mix of their old and new sounds. One song from Amplified Heart, “Missing”, had more of a Sophisti-Pop sound. A straightforward song about, well, missing someone, it played quite well on pretty much every adult contemporary station. But it was when a New York DJ named Todd Terry remixed the song that the single really took off, and did it ever. “Missing” entered Billboard’s Hot 100 at #94 for the week ending August 12, 1995 (chart | magazine) and began one of the slowest climbs ever up the charts, finally peaking at #2 for the week ending February 17, 1996 (chart | magazine), kept out of the top spot by the record-setting 16-week run at number one of “One Sweet Day” by Mariah Carey and Boyz II Men. Still, “Missing” managed to stay on the Hot 100 twice as long as “One Sweet Day”, becoming the first ever song to spend over a year on the chart; it finally fell off after 55 weeks. This chart performance was enough to make “Missing” the #12 song for 1996 (magazine). Ironically, just before “Missing” became a multi-platinum smash, WEA, which had distributed EBTG’s albums outside North America, had given up on the duo, dropping them. ** EBTG quickly signed with Virgin and released Walking Wounded, which, thanks to the success of “Missing”, became EBTG’s highest charting album. Yes, we do keep saying we are nearly ready to maybe do some work together again. There are certain obstacles, some practical, some psychological, that we would need to overcome. But it may well happen. Amazingly, in the last few years, “Missing” seems to have been missing from most radio stations’ playlists. (This author hasn’t heard it on the radio in probably almost a decade.) It would be nice for it to get a few more spins. * “Missing” did not, however, rank in the top 75 on the sales charts for the year (which was all Billboard listed in that particular year-end chart), which shows that the airplay it was getting was driving its performance on the Hot 100. ** Atlantic Records continued to distribute EBTG albums in the US and Canada after WEA broke ties in the rest of the world.